← And the beat goes on . . .
Sunday Afternoon Art Making . 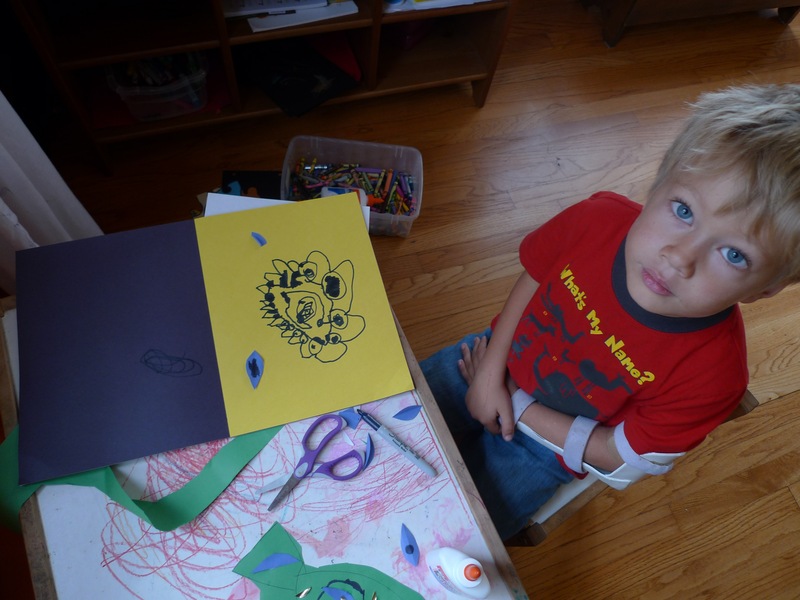 . .
Eliott came down with something over the weekend — fever during the night and moving slower during the day. (Poor little guy!) But, it was a good excuse to take it easy and make stuff on Sunday! I did a few sketches for ideas for painting the tree house. 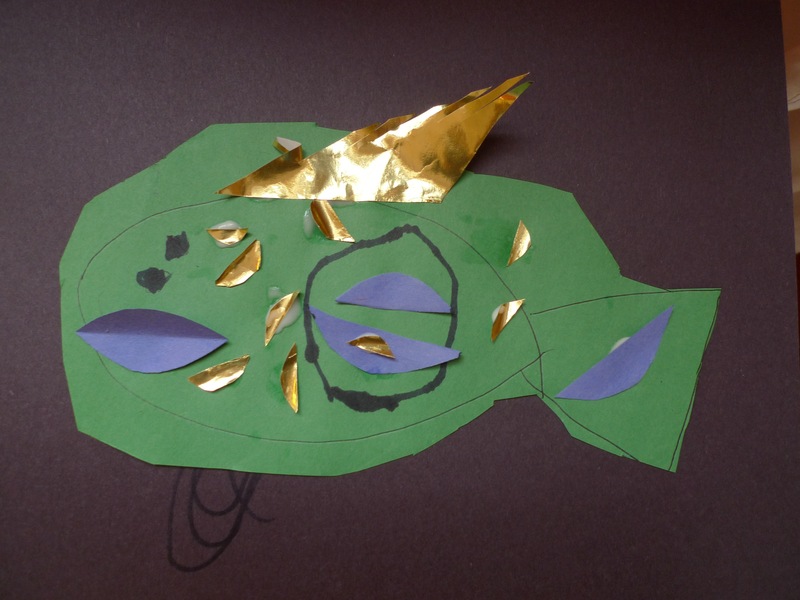 Eliott made a paper fish collage and some of his own tree house drawings. 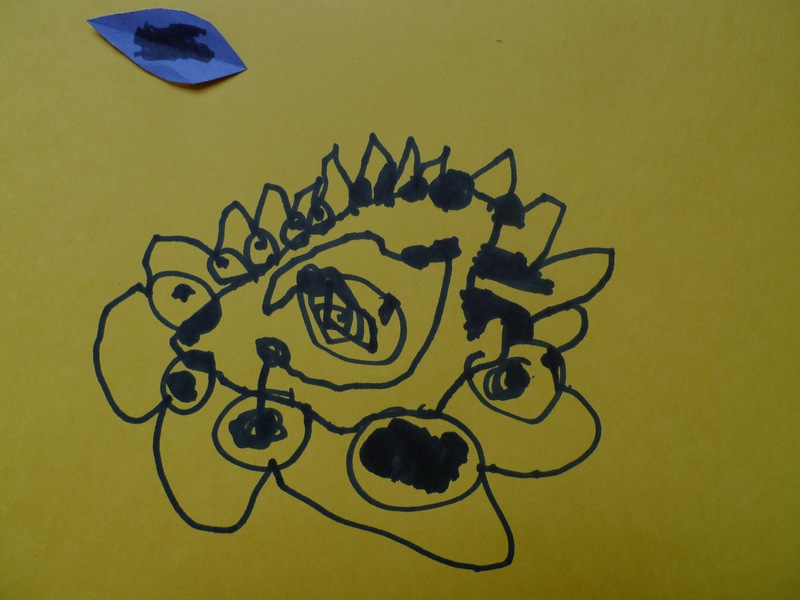 Eliott's design sketch for on tree house.